Let’s start by saying, anyone in the field of healthcare likely began their journey because they wanted to help people. Providers want to help you. They spend thousands of dollars and many years in school educating themselves to help YOU. So, just as we hope nobody does to us, let’s not put any providers in a box, even if you’ve had a bad experience or two. Fortunately, there is a movement starting in schools to provide more education on nutrition and lifestyle. However, many providers did not receive education on the power of food and lifestyle, so they simply don’t know how to teach that to their clients (or know that it even matters). The amount of attention any provider will put on food and lifestyle varies based on their education and their personal and clinical experience. If you have a provider who listens to you and works with you, be sure to thank them for that! If you find yourself getting frustrated because you are not being heard by your provider, this article will provide some suggestions for how to communicate with a current provider, or how to find a new one. Often, when a client approaches a provider with a list of requests, it can be overwhelming for a provider who may not speak that nutrition or ‘natural approach’ language. Keep it simple with a few main points per appointment (aim for 3). To add some other factors, the healthcare system is set up in a way that has the average provider spending less than 25 minutes with a client (1). That doesn’t allow much time for discussion. Additionally, under the U.S. healthcare system with insurance company payers, there are rules providers must follow. If they order certain labs without a certain diagnosis code, they are practicing outside of those rules. For example, a lab request for fasting insulin or vitamin B12, must also come with a ICD-10 diagnosis code, and if you’re not presenting with symptoms that warrant those tests (let’s say you have a skin rash), the insurance company may deny paying for it. If your doctor isn’t willing to order for those reasons, it’s helpful to know why. They may not see the connection between a skin rash and those labs and they don’t want you stuck with an unexpected bill. For these 2 reasons (time and money), many providers are turning to a cash-based practice where they have time to talk with people, time to research for clients and time to read an article on updated science. While this can be a bummer for those who want to go through insurance, it also has major advantages. Now remember, getting the labs is step one, but knowing what to do with them is a very important next step. 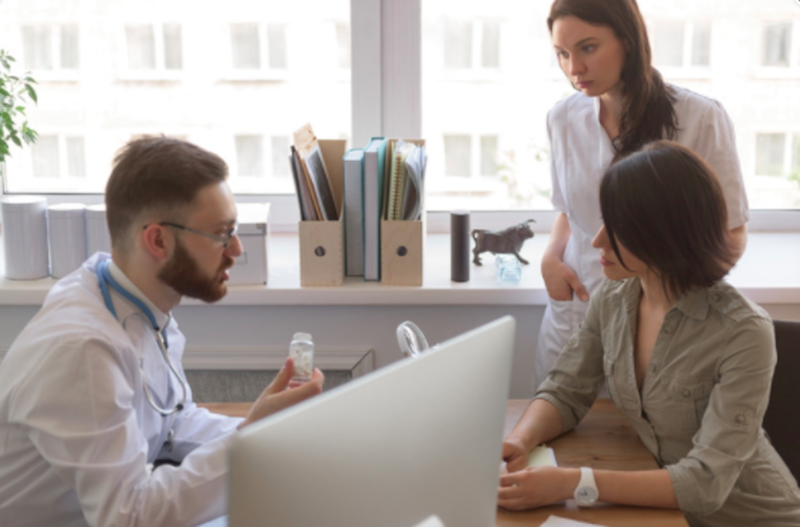 You may want to consider working with an Integrative or Functional Medicine provider who is well-versed in the tests and can provide guidance with the results. More information on that below. You own your health so if something is unclear, ASK! This also pulls the provider into the conversation which is better than just telling them what to do. Always get a copy of your test results. There are different views on “normal labs” and you want to be able to look at those yourself or take them to another provider, if necessary. This is common for thyroid, cardio and immune system markers like vitamin D. The “normal” range is different than the “optimal” range that many functional medicine providers would prefer. If you’re being pressured to take medications that you don’t feel comfortable taking. If they’re refusing to work with you to investigate the root of your symptoms. If they refuse to order labs that you have researched and are willing to pay for. If they laugh, cough or scoff at you for wanting to try nutrition and lifestyle changes. If you are wanting advanced testing done that your doctor does not run or is unfamiliar with (common with functional medicine type testing–food sensitivities, nutrients, heavy metals, certain types of hormone testing). There are many fabulous providers to partner with on your health journey, even those without integrative or functional medicine training. If they are willing to work with you and you are willing to research on your own too, you will be a great team! If you are seeking an Integrative or Functional Medicine provider, resources are listed below.